Nothing lasts forever, even when it's been really well maintained, and roofs are no exception. We specialise in re-roofing using top quality materials and systems which have been thoroughly tried and tested for the good old British weather. Whatever your house type: detached, semi-detached, bungalow, flat, barn conversion etc. we can re-roof it in a choice of materials. We're local experts who handle complete re-roofing jobs from start to finish using our own highly skilled team of tradesmen. We're keen to make sure that our work is of a consistently high technical standard - because our reputation depends upon it. It doesn't matter what type of roof you have, either as we will happily undertake all types of roofing i.e. pitch roofs or flat roofs for both domestic and commercial customers. We also undertake all lead work. We love what we do and take a genuine pride in our work. 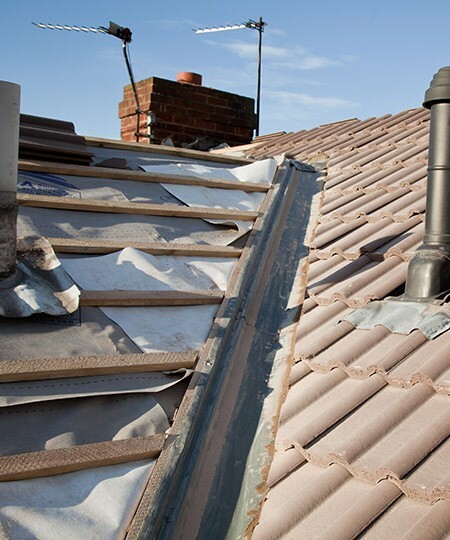 In fact, over the years we've built up an extremely good reputation for re-roofing in Leeds. We go out of our way to impress. Call us today to see how we can help on Leeds 0113 370 9095.